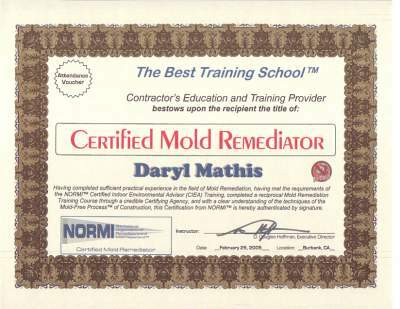 The Best Training School provides specialized training for your business. 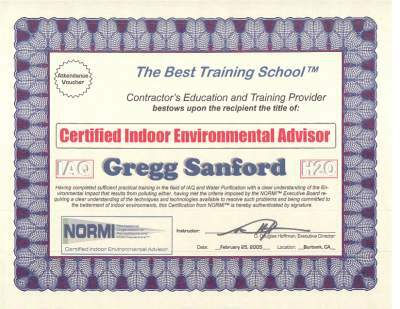 Our Senior Trainers are able to come to your location, meet with your people, and train them in the areas of Indoor Air Quality, Drinking Water, and/or Mold in a way that will enhance the professionalism of your staff. We believe that having a staff of well-trained professionals is the key to your being able to provide information to the public that allows them to make informed decisions regarding products and services you may offer. 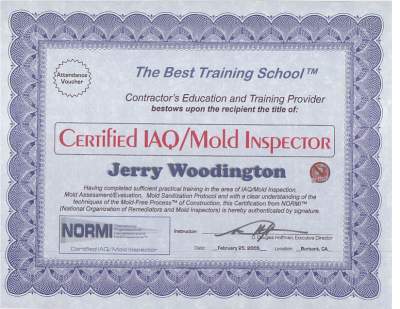 By contacting our Specialized Training Department we can begin the process of tailoring our curriculum to fit your needs. 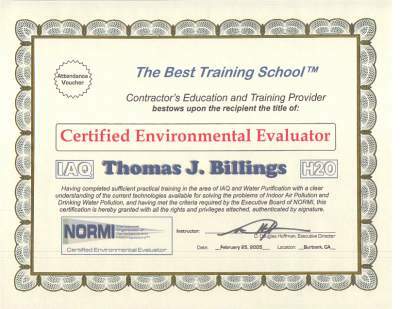 And, since we already offer an array of "product neutral" curriculums, we can put together a specialized Continuing Education training program to piggyback our onsite training allowing us to train your people on the specific products and services you offer. Provide "Third-party Certification" where possible. Contact Us for more information or to send a request for specialized training.